In this activity, students will explore the collective legacy of genocide and how it can be transmitted from survivors of genocide to the second generation and subsequent generations. Students will consider this concept by listening to the testimonies of Armenian Genocide survivors and their descendants. After hearing these personal stories, students will draw evidence of how the collective legacy of genocide can influence the sense of cultural responsibility and identity on the second generation and subsequent generations. Based on their findings, students will then construct a meaningful Word Cloud about the collective legacy of genocide and will reflect on their own personal legacy. 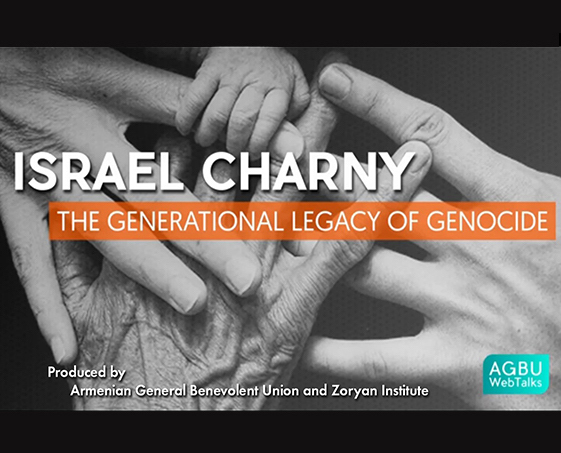 This activity was inspired by the AGBU WebTalks short video, “The Generational Legacy of Genocide” featuring Dr. Israel Charny who is a psychologist and executive director of the Institute on the Holocaust and Genocide in Jerusalem.